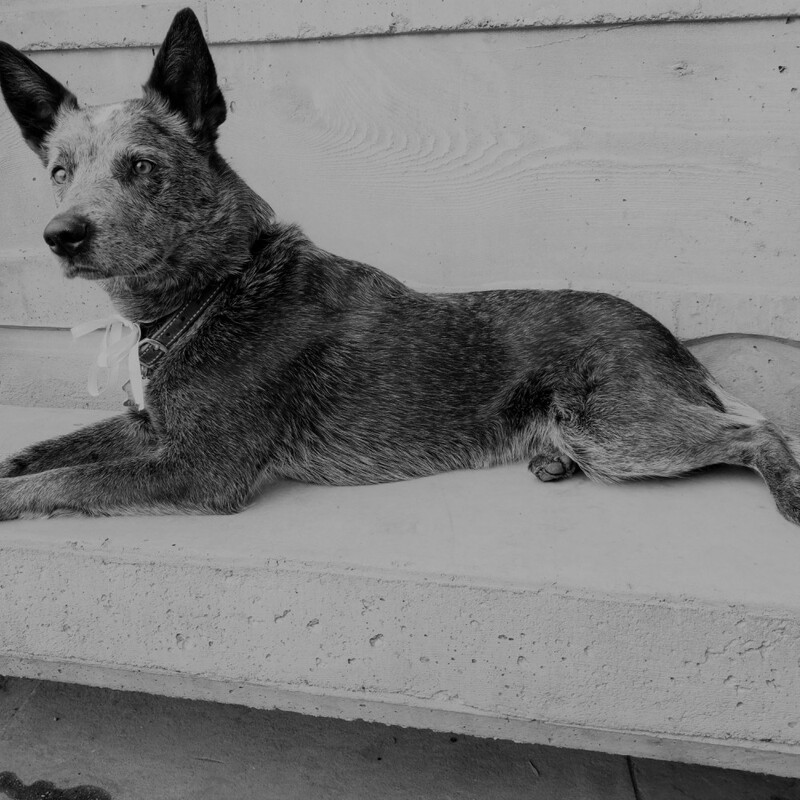 Juniper (11/11/2011) is an Australian Cattle Dog and de facto matriarch of her extended pack. She didn’t choose this position, she didn’t want to be surrounded by these buffoons, but here she is. Juniper had a rough start in life and was abandoned to Heart of The Valley animal shelter at a young age after coming out of an abusive situation. With that part of her life behind her, she’s grown into an intelligent, scholarly girl with a ton of tricks. Her hobbies are chasing the ball and not bringing it back, giving the younger dogs in the group The Look, and gazing lovingly at her mother. Occasionally she’ll run a few cows, but she thinks that it’s below her.